App Store and the Apple logo are trademarks of Apple Inc. 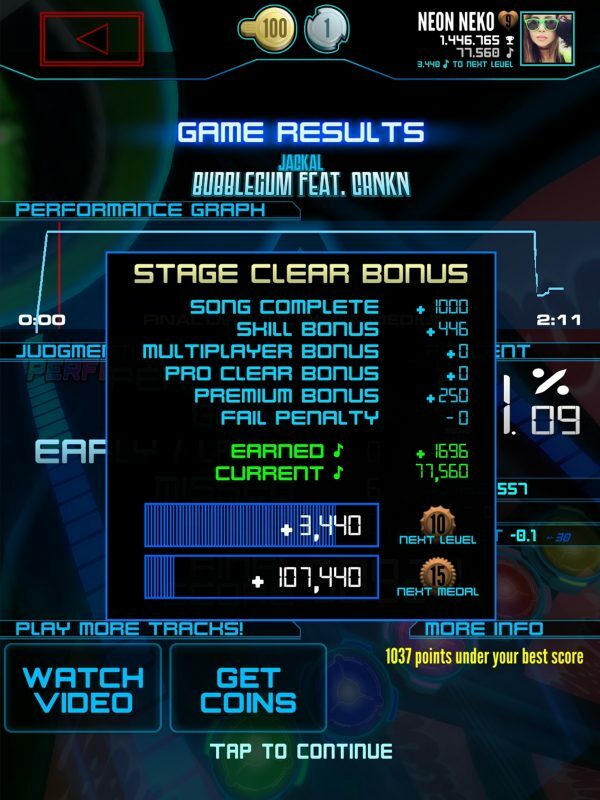 Mobile controls surpassed my expectations. Definitely worth a try. The f2p system is really good as well! This game truly reminds me Dance Dance Revolution. But on a smart phone. On top of that, if you find a song you like, you can buy it! Замечательнейшая игра и просто огромное количество хорошей музыки. Calibración perfecta, estilo perfecto, repertorio perfecto. Hacía falta ya una maravilla de este calibre. UN 10. For what it’s worth, I’ve never played this game before, or even heard of it. But the look on my face when I saw classic tracks from Monstercat, “Elisium+”, and even FREEZE POP, I had to pinch myself to make sure I wasn’t dreaming! Clearly the dev’s have worked hard on this came to bring it to mobile and they’ve done an amazing job. From the extra effects like the screen shake and color changes, to the roster of songs, everything is great. This is a game I’ll play and support for a long time! I’ve only played the arcade version, but this is arcade perfect. 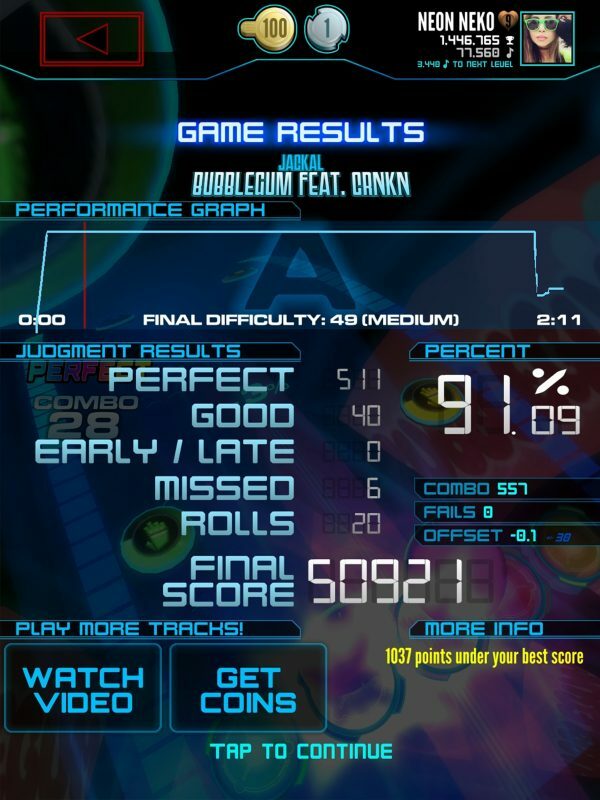 It is a great music game. Neon FM™ is an electrified rhythm & action game for arcades and mobile. 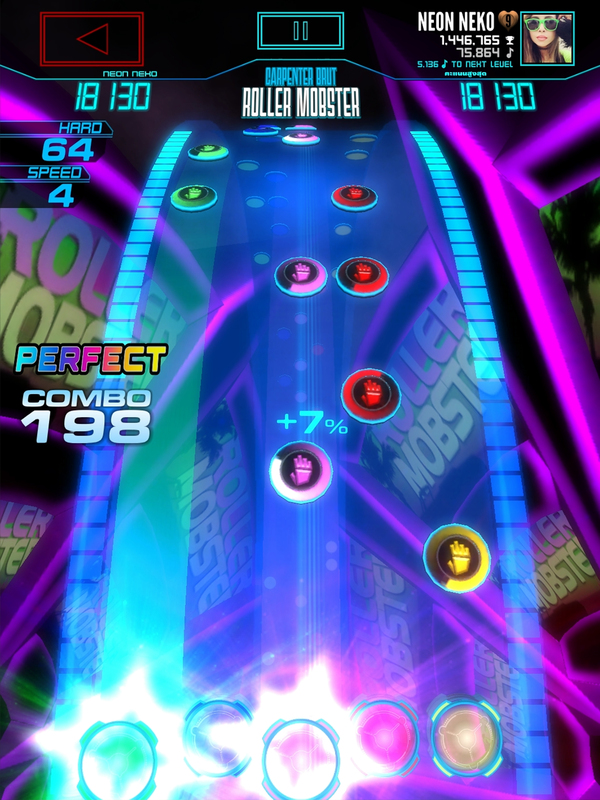 Players pound the five colored panels with their hands to the beat of the music and are scored on their timing. 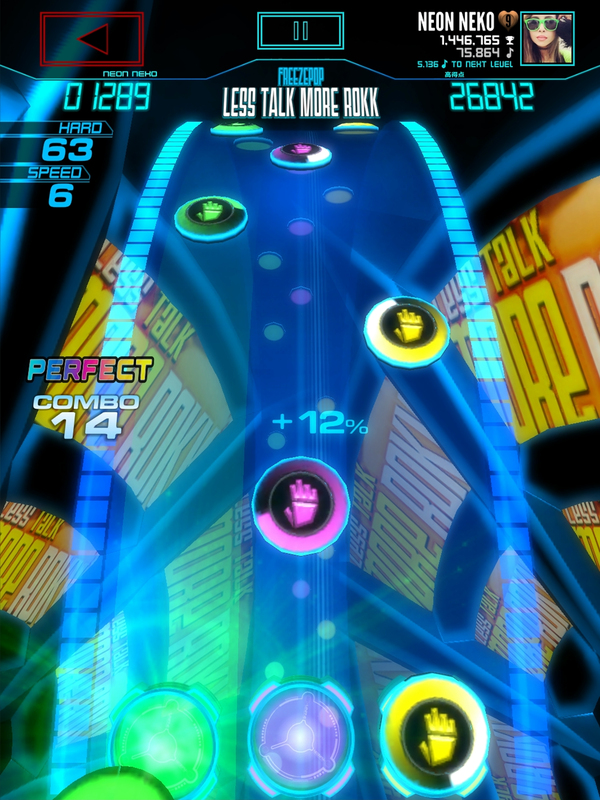 Each song has many levels of difficulty, allowing players of any skill to play songs that suit their taste. Performing poorly doesn’t end the game–we just reduce the difficulty while you’re playing. Use your Unit-e account to save scores, track your progress, and compete internationally! 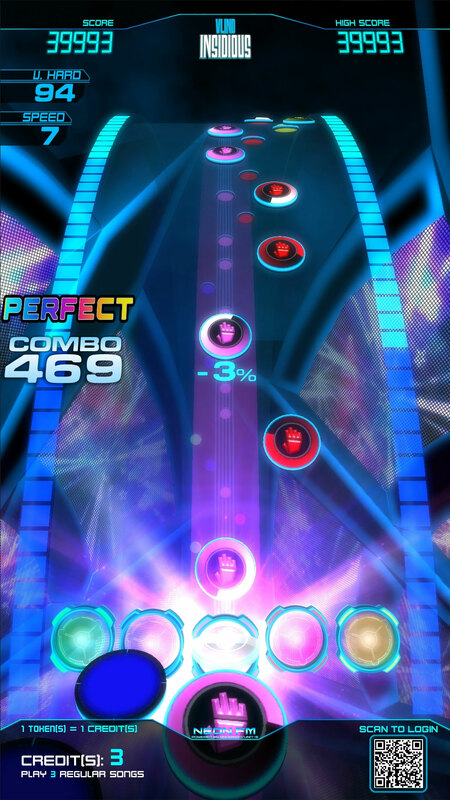 Is this your first music game? We reduce the number of buttons and are much less strict on timing. New tracks every 2 weeks! Every 2 weeks we release new music to the game. Check in on your favorite arcade often to see what’s new! 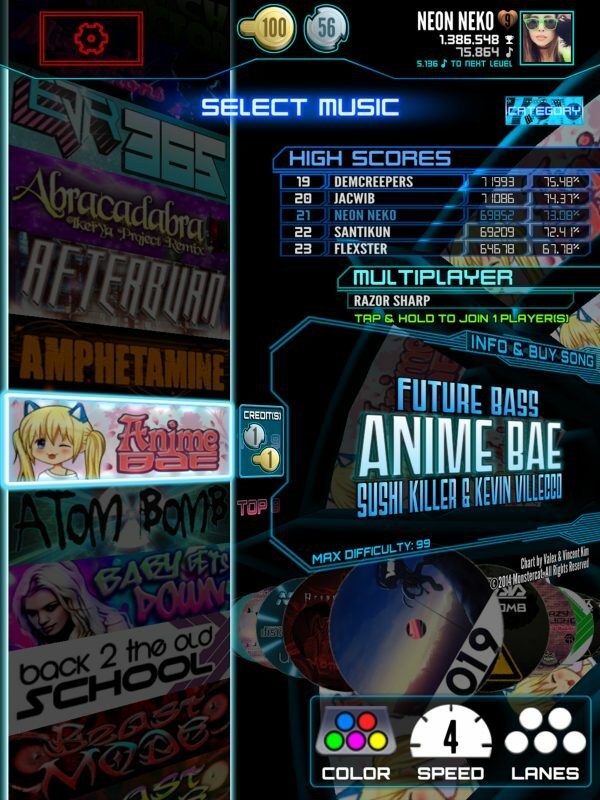 Neon FM arcades and mobile each support one player, and multiple platforms can connect online to support infinite simultaneous players. Players can also choose to not compete at all and do their own thing! Jukebox-style song selection means you’ll always have enough spare change to play a song or two! 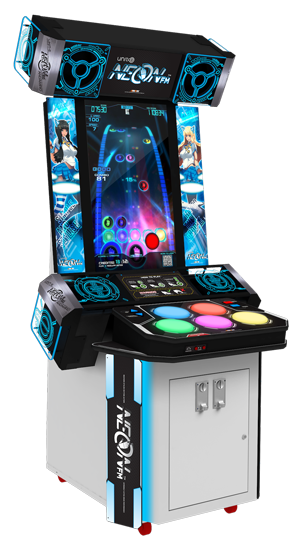 With its svelte width, Neon FM™ leaves plenty of room in the arcade for multiple machines. Neon FM™ uses a proprietary QR login system to quickly personalize your game experience. Just point and shoot with your phone to log in! Neon FM™ Mobile is available for download! Get it now for iOS devices on the App Store, or for Android devices on Google Play.